When Tunde Arigbabu (not real names) stepped out of his house in the Ijaiye Ojokoro area of Lagos State that fateful morning in June this year, he would not have entertained, even slightly, the idea that he would not be by his desk at his Ikeja office latest two hours from the time. But just as he alighted from the commercial motorcycle that took him to Ijaiye bus stop, he was accosted by mean-looking armed men with only the black T-shirts and Polo with the inscription: Special Anti-Robbery Squad (SARS) as official identification. With a bag containing his laptop slung on his shoulder, he was an easy prey promptly ferried off. “What they call a station is not even where they are domiciled. They just dropped me off at a station and went away. I am even sure that the DPO of that station knew nothing about the five of us kept there because unlike others whose voices we heard and saw once in a while, they only came back after the bail bond of N20,000 was ready,” he said. The case of Tunde is like many young men and in a few unusual cases, young women. They have at one time or the other been victims of harassment by police officers attached to SARS, either at the federal level or state. “This place is like a country on its own because the officers would tell you they can do anything and get away with it and it is clear they are not joking. One of them told us point blank that ‘this place is not for small cases like people fighting or owing each other money. We only handle lucrative cases here.’ Imagine that.” Such instances of sheer beating people into submission, untold harassment and more led to the trending #EndSARS which took charge of the Nigerian social media space recently, with many people telling a story of woe or another of their encounter with the dreaded men of SARS. 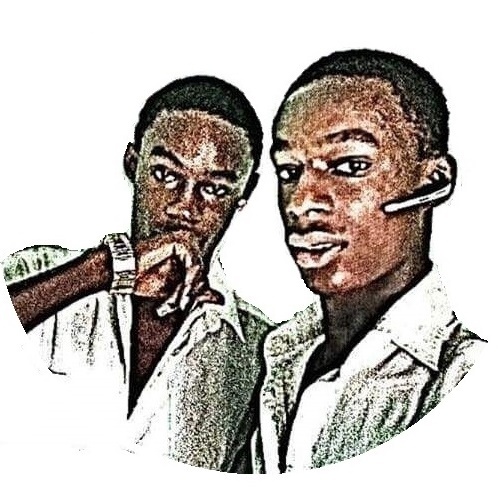 Created as an elite division that will help fight crime, and armed robbery with resolute force and utmost dedication, the squad seems to have turned on young Nigerians. As at the last count, even notable entertainment personalities like Folarin Falana (Falz), Sarz, Ebuka Obi-Uchendu, Tillaman and others have narrated their nightmarish encounters with SARS. For the officers involved, however, the complaints of the citizens seem far from the things that are bothering their minds. With an array of luxury automobiles like the Muraino SUV, Infinity SUV and the coveted Ranger Rover Sport that they drive around when they are not at work and lavish lifestyle, sometimes it takes more than glances to be able to distinguish the police from the crime lords on whose trail they volunteer everything for fatherland (at least in principle). 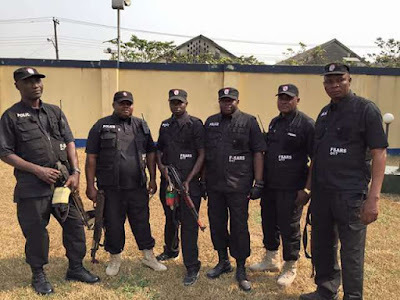 One of the SARS operatives, Ikem Ogah (not real name), agrees that the lines between officers like himself and kidnappers, armed robbers and oil bunkering bandits are blurred in many places. “One thing about me is the fact that I don’t deceive myself unlike many of my colleagues who refuse to admit or accept the fact that this life we lead now is not so real. I say this because this job we do is full of dangers and every day I leave my house, I know I might not come back in a few days or even more than a week. The worst of it is that I might not come back at all. That is how I see it. I am an African, true and I believe in trying to protect myself beyond the means of the rifle I carry but we all know when it is time nothing can really stop it. “So each day I leave home I try to prepare the minds of my family, that is my wife and I try to also spend time with my children even though they are too young to fully grasp whatever I would like to know about my reality. Above all, I prepare myself that today might just be my last. For another, Segun Falade (not his real name also), living for now without a worry about what tomorrow will bring. “I am not aware if there is any law that says there is a way you cannot appear because you are an officer attached to SARS unit. So nobody minds my dreadlocks especially, since we are mainly on the field, unlike regular police officers who are desk people. I own this car, Muraino SUV which I bought with my money, I didn’t steal it and I feel proud whenever I drive it. I didn’t kill anyone to obtain it but I am also not saying I am a saint. With a mindset that is not so dissimilar from that of criminals, Chukwudi (also not real name) said the biggest problem SARS operatives face can sometime come from the envy of regular policemen. “The worst situation that ever happened to me since I joined SARS was not even something that had to do with being shot, kidnapped, not even being trailed by criminals. It is more about the animosity that you experience in the force when you are a member of SARS. Some of the senior officers worked against me and I was redeployed to another unit, like a regular police officer. I won’t mention the place I was posted to so as not to give away my identity but can you believe that to punish me further, the DPO of that station stationed me at the gate. It was hell for me on different fronts. One because I was bored to death, second because I became redundant and also because I was reduced to opening the gate for everyone coming into the station, all manners of people. Worse of it all is that it was in an area where I have been part of a powerful SARS team that dealt with many criminals so I became an easy target for many of the boys who could shoot even in front of the station and run away. “It is not surprising that the Nigerian Police Force was recently ranked the worst in the world by the World Internal Security and Police Index. The parameters for arriving at this decision was based on their ability to render effective security services, confidence of the citizens in the services and in the force and incidence of occurrence of criminal activities. “Most Nigerians who have had experiences with the Police Force have sad tales to tell, that fact that they are underfunded predisposes the junior officers to corrupt since they do not have the necessary tools to discharge their duties. As Nigerians continue to call for the scrapping of the unit, a situation some have described as not realistic, many in the land are hoping that some significant reforms can come into place soon. That, as things stand, seems the only thing that can send a strong signal to young Nigerians that when they call in times of distress, government would surely answer.